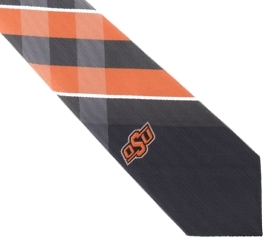 Look your best in this 100% poly neck tie by Eagles Wings. Dark grey with light grey and orange stripes. It features the OSU Brand logo.